The Mission to Seafarers, International seafarer welfare charity, addressed that reports of obesity, mental health problems and gender discrimination are rapidly increasing, while wellness at sea keeps on falling. Ben Bailey, Director of Advocacy and Regional Engagement, will present the latest findings from Seafarers Happiness Index at CMA Shipping Conference in April. The Seafarer Happiness Index resulted to the fact that seafarers' satisfaction levels when at sea dropped to 6.32 out of 10, revealing a decrease of more than 5%, in comparison to the 6.69 figure recorded this time last year. 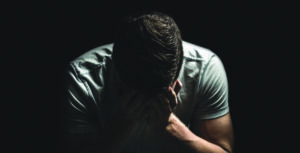 The year that passed, Mission to Seafarers published a series of anonymous reports focusing on alarming issues, including increasing concerns around mental health wellbeing of seafarers, with many of them discussing about boredom and stress wen on board. In the meantime, many were the seafarers that criticised the lack of facilities onboard, whereas others talked about the lack of offshore leave and access to reliable WIFI. 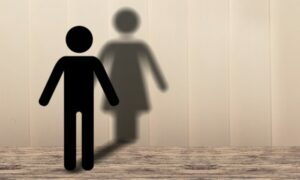 In addition, according to the survey, some female respondents highlighted incidents around gender-based discrimination and sexual harassment at sea. 2018's index had the highest number of female participants until today, reaching the 12.32% in total. Generally, female seafarers seemed more unhappy in comparison to the male seafarers. A number of them highlighted the feeling of loneliness and isolation, especially when being the only woman onboard. The respondents also focused on gaining weight and exercise when onboard. Some complained that chandlers were sending cheaper, lower-quality branded food supplies to ships, while others stated that while they wanted to exercise they found it very hard to either get the time or the motivation. The results of the survey will be thoroughly discussed on April's CMA Shipping Conference in Connecticut, where the Mission’s Director of Advocacy and Regional Engagement Ben Bailey will present the findings from the first three months of this year. The Mission’s Seafarers Happiness Index is about empowering seafarers across the world by giving them a confidential platform to voice their opinions and concerns. In an industry that so often goes unseen by the vast majority of the global population, it’s so important that we do our part to show that these men and women are not forgotten and that we are always listening. Concluding, during 2019 the Mission will continue to publish its findings from the survey once a quarter.